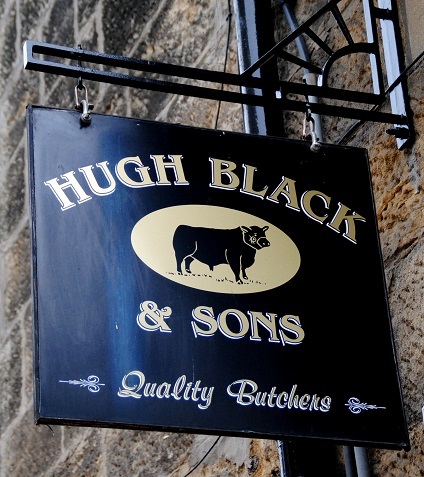 Hugh Black & Sons is a Lanarkshire success story, expanding from the late Wiston farmer Hugh Black’s single shop in 1987 to the string of independent high street butchers it is today under the management of Hugh’s sons Craig and Hugh Junior. The success of the business, which now includes a licenced cutting plant and 12 high street shops, is particularly impressive given the challenges of the industry over the past three decades. 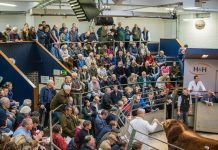 Not only has the UK been through one of its worst economic periods in recent history, but the meat industry has had to deal with issues that, at times, have been extremely negative and on top of that the retail landscape has fundamentally changed. 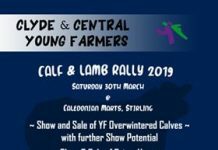 It was a bold, brave decision just over 30 years ago when Hugh Senior, armed with no butchery experience, bought a butchers shop in Armadale, West Lothian from the proceeds of selling a 300 acre farm near Lanark. 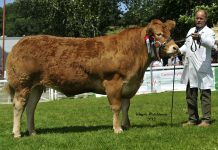 Burnhouse Farm had been a beef farm for generations with Hugh latterly specialising in finishing. Both Hugh’s sons Craig and Hugh went straight into the business when the left Biggar High School, taking over when their father died in 2002. When Mowats fish shop became available in Lanark in 1991, the second shop was founded and although 20 miles away from Armadale it was like going home. The family moved back to the outskirts of Lanark and found themselves doing business with a community they already knew well. 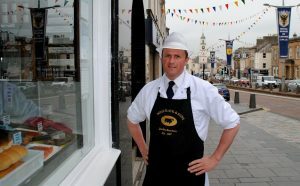 Nine years passed until the third shop was opened in Bathgate and a former meat factory in the town was also taken on. The factory created processing capacity and over the next decade a string of shops followed and in the last three years the company has expanded into Fife and Stirlingshire. While there is no doubt the brothers took the opportunities to expand when they emerged their success is always attributed to honest hard work and consistently giving their customers what they want, at a fair price. Hugh stresses that when farming is your life, working hard is the norm and they never forgot that philosophy as the ambition grew. “We worked seven days a week on the farm, we never thought of having a day off, so when we moved into the butchery business time off wasn’t in the repertoire either. This business had to work and if we had to give it 100 hours a week each, then that is what we’d give it” said Craig. Brought up by a father who always bought from auction marts and was passionate about quality, Craig recalls his father’s ethos “we always believed that business would be easy if the product was that good that your customer wanted it because it was better than everybody else’s. They will come to you if you are the best in the area”. 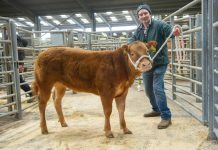 Limousin cross heifer beef is the preference for the brothers with Hugh now buying around 18 animals each week direct from auction, nothing is purchased on the wholesale market. 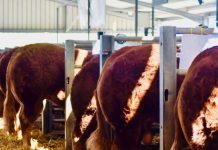 He is always looking for a well-finished carcase ‘full of meat’ which is going to deliver on yield and consistent eating quality. 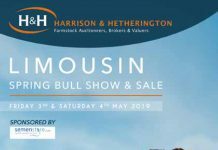 Hugh says he is regularly “spoilt for choice with the Limousin’s on offer” and “while carcases are heavier than they were 20 years ago it’s all muscle, these modern Limousins have the right amount of muscle in all the right places and deliver a carcase balance which works for us”. 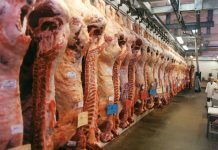 The Blacks now operate the cutting room at Wishaw abattoir (previously occupied for many years by Jimmy Whannel) where all their beef forequarters are boned, vac packed and sent to the Bathgate factory from where all the shops are serviced. Hugh explained “by boning and packing everything into barcoded bags we have less waste, greater control and crucially full traceability”. However, the investment at Wishaw, a small local butcher co-operative is about more than just the development of an efficient processing tool. It is indicative of their commitment to the local community and the importance they place on the signals they send out to their customers on another crucial aspect for business success, provenance. Provenance has been one of the buzz words in the meat industry for some time, particularly since the horsegate debacle which raised issues of consumer trust. 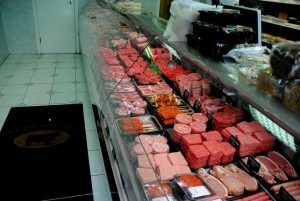 More than supermarkets, high street butchers tend to build up a regular clientele who like to know where their meat has come from and expect it to match their quality standards week in week out. Hugh is passionate about being connected to the farming community, and believes that buying at market and forging relationships with his suppliers gives him a unique selling point and advantage over his competitors. His father was always of the belief that the tradition of farmer-market-butcher had served the industry well over the years and should continue to do so. Hugh says “Sometimes I struggle to relate to how many butchers can be so passionate about their products but yet sell beef from a cardboard box, trusting a pre-printed label over a whole side of beef traced to a farm of their own choice” However, while Craig and Hugh realise that times have changed for many in the industry but they know that their farm to fork ‘story’ is a powerful tool, so much so they proudly display the name of the week’s supplier in the shops for customers to see. This integration in the farming community sees the business getting involved in a range of other activities. Having grown up on the farm Hugh and Craig know how important encouraging the next generation of beef producers is, without them the butchers have no product to sell. 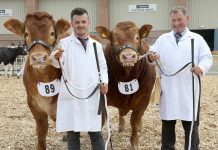 In 2017 they added their financial support to the Limousin Leaders Team competing in the National Young Stars event at Malvern. Embracing technology is another driver of the success story for the Black brothers, and sitting behind his desk in Bathgate Craig looks like he is in control of a space station, scanning the orbit of the shops to ensure everything is running as it should. CCTV allows Craig to see what’s happening in every shop and the IT system tells him what is selling and when it is selling. He can be virtually ‘in’ all the shops simultaneously and can even see if the stock rotation is correct. Craig said “The stock levels are all managed by our IT systems. Everything is linked back from the tills within the shops. All the sales figures are dragged back to Bathgate and analysed by our bespoke EPOS system”. Despite lots of innovation Hugh Black & Sons remains a family-run business with Craig and Hugh hands on in the business every day. A positive attitude and good staff set the Blacks off on the path of expansion and those attributes are still very evident today. Stepping inside any one of the shops reveals what isn’t visible on any of the screens in Craig’s office. A fresh welcoming atmosphere matched with a fantastic display of quality products with Limousin beef at its core. Housekeeping is second to none and the staff and customers engage in a warm friendly relationship. Craig, Hugh and the team which now extends to over 140 make the job look so easy. Looking toward the future, the brothers think that while there are some challenges to be overcome the traditional high street butcher’s shop still offers a positive experience for many consumers. While it is true that they have seen their customers become more price conscious in recent years because they haven’t lost sight of what is fundamental to the success of their business they have weathered the storm well. 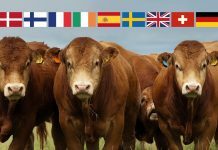 The butchery is able to offer a far wider variety of cheaper cuts than most supermarkets ever could, and combining that with the consistent eating quality of Limousin beef is a winning formula. 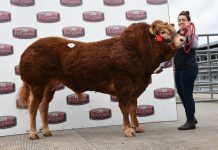 As Hugh said “Limousins are smart, fleshy cattle with a great meat yield which can importantly include a quality finish. When handled correctly they provide the fantastic eating experience our customers keep coming back for, and, that’s exactly what we want”.